Missy inked a deal with Warner Bros. in 2002. A&R Worldwide's Sat Bisla introduced Higgins to a Warner Bros. A&R staffer in September 2001; however, serious negotiations with Warner Bros. did not begin until January 2002, after former Sr. VP A&R James Dowdall and Director A&R Andy Olyphant got involved. Higgins was brought to the attention of both manager John Watson (Gotye, Missy Higgins) and Sat Bisla by former Triple J Radio and APD Robert Scott, whose station discovered Missy through its "Unearthed" A&R program. 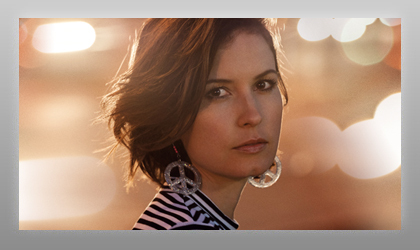 "I'm ecstatic about Missy Higgins signing to Warner Bros. in the U.S.," states Scott. The fact that a major label will look to a territory like Australia and sign someone without any releases, and based purely on talent and potential is fantastic. Missy threw a rough cassette tape in the mail for a demo competition at Triple J. The next thing, she wins a professional recording and rotation of her song on Triple J. On the strength of that, John Watson signed on to manage her and now she's been given an international platform by Warner's. Our industry is certainly becoming more international and innovative in its approach to breaking new music. I'd particularly like to mention the role A&R Worldwide's Sat Bisla played in his part in breaking Missy and the privilege we feel at Triple J to find such a unique talent in Australia."